Registration has closed on the @WPT Rolling Thunder Super Mega and the board show 215 Entries. This means 24 seats are being awarded to next weekend's $3,500 Main Event, and 25th place earns $2,000. Play continues until 24 players remain, then all the Main Event seats are presented. There's about 100 players left, so roughly 1-in-4 players left are going to be in next weekend's Main Event. 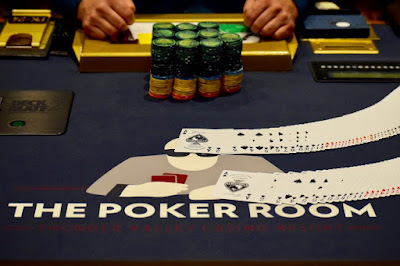 Next up in the Hit Parade is the 5:30pm start for the Black Chip Bounty, a $350 buy-in with $100 bounties on every entry.